Type C LED tubes with a driver you can trust. 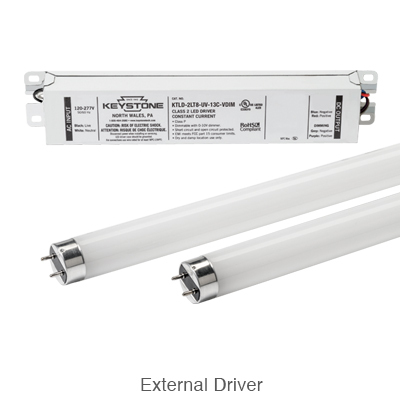 Keystone’s External Drive LED Type C tubes are ideal for customers with older fluorescent ballasts who want to maximize efficiency, but don’t want to install Type B linear voltage retrofit lamps. Our ExternalDrive LED system can be integrated with robust dimming and control functionality, helping to offset moderate labor and installation costs. It’s compatible with Keystone LED emergency backup solutions. Our Type C LED tubes offer high system efficacy, guaranteed system compatibility, and the greatest overall performance. Best of all, Type C LED tubes are eligible for unique rebate opportunities. 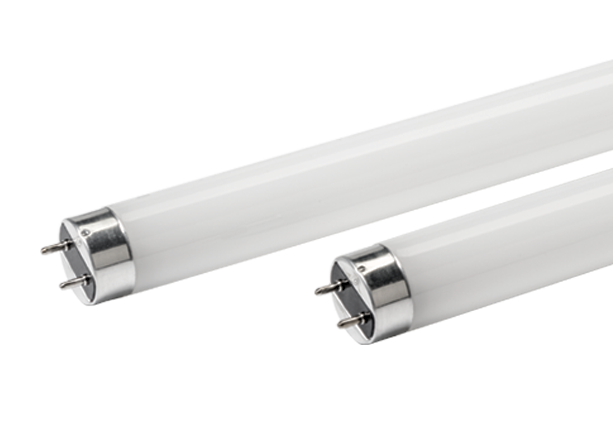 UL Type C LED tubes operate with a Keystone External LED driver that powers the lamp, rather than using an integrated driver or external fluorescent ballast as a power source. UL Type C involves electrical modification to the existing fixture, but the low-voltage outputs of the external LED driver are connected to the sockets instead of line voltage as with UL Type B. Our External Drive tubes are designed to be powered only by Keystone drivers. We cannot guarantee the performance of our Type C tubes when powered by drivers from other manufacturers.